Pacific EH&S Services, Inc. provides services in the areas of industrial hygiene, safety, environmental air monitoring, SWPPP, WPCM, Caltrans Water Pollution Control Manager services, QSD consulting, QSP inspections, asbestos and lead consulting, ergonomics, health and safety management, policy and procedure development, safety audits, indoor air quality investigations, health and safety training, accident and claims investigations, expert witness testimony, and emergency response coordination. Pacific EH&S offers a full range of services devoted to investigating the specific cause(s) of compromised air quality within structures. We also offer monitoring and sampling for project run-off as well as Caltrans water pollution control manager services. Pacific EH&S offers a wide variety of industrial hygiene services designed to identify, evaluate, and control unhealthful exposures to chemical and physical stressors in industrial, office, and outdoor environments. 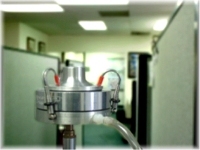 Industrial Hygienists conduct air monitoring surveys to assess occupational exposures to varying chemical contaminants.